Optional Single Supplement: $949 USD (number of singles limited). This spectacular 15-day Nordic Explorer tour to the Nordic countries is a perfect opportunity to see what kind of treasures lie along the Baltic Sea. And there could be no better way to start than a walking tour through the vibrant streets of Helsinki, Finland. Be sure to take a stroll along the harbour and browse the abundant souvenir shops. Then it's off to Sweden, which boasts a colourful history with Renaissance buildings that dot the three main islands making up the oldest part of Stockholm: Riddarholmen, Staden and Helgeandsholmen. A boat tour gives us a chance to see some of the other 14 islands that make up this wondrous city, like Djurgarden, which consists of a lustrous park that was once designated as the royal hunting grounds. We visit world-renowned sites such as the Blue Hall and the Golden Chamber where the annual Nobel Prize banquets take place. 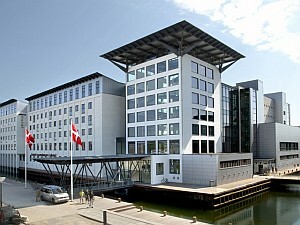 Once we arrive in Copenhagen, Denmark, we embark on a boat trip down the city's canal. Tour the massive granite halls of Christianborg Castle, see the Danish Crown Jewels at the Rosenborg Castle, and relax amid the enchanting Tivoli Gardens, where 100,000 coloured lanterns light the Chinese pagoda. The breathtaking view of the Olso fjord and harbour from the Holmenkollen Ski Jump is something worthy of using a whole roll of fill. 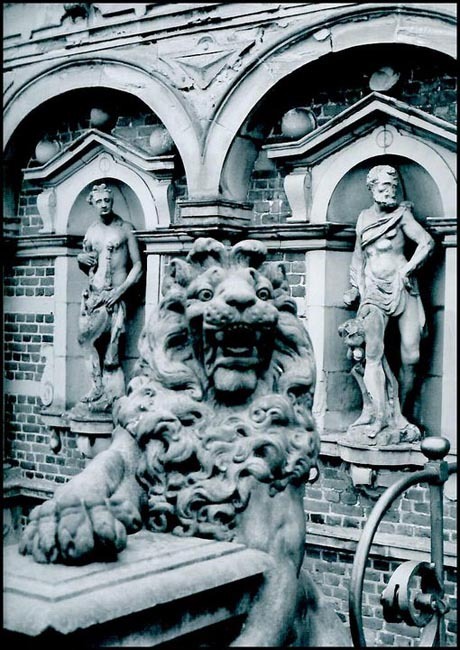 This has been a landmark since it was built in 1892 and it gained wider appreciation during the 1952 Olympics. All excursions were good. Especially enjoyable were the walking tours of Stockholm and Copenhagen, the Vasa Ship Museum, the Olso museums and Norway in a Nutshell. The Helsinki, Stockholm and Copenhagen guides were especially good. I loved that we traveled by plane, train, ferry, tram, bus, funicular and on foot. The ferries were an especially interesting experience. I thought we had wonderful evening meals. We had a great variety of authentic foods and the restaurants were extremely interesting, definitely not touristy places. Dinnertime was a highlight of the day. Our tour leader was unflappable. She handled everything with amazing ease. She has a great personality, a unique sense of humor and was able to relate well with all the members of the tour. It was a wonderful tour! The sightseeing was extensive, we had good free time for exploring, the small group made everything very manageable and the food was excellent! Well organized professional tour. We most enjoyed old cities centers in Helsinki, Stockholm and Copenhagen. Guides in Oslo and Bergen were excellent and I felt I really got to know the cities and the main attractions. Hotels were very good. Really enjoyed the train across Norway, the fjord and Flam railway as well as funicular in Bergen. Evening meals were all very good. When members of the tour group went off on separate excursions, [Tour Leader] Chris made sure we had maps, and knew where we were going and how to return to the hotel. He was also helpful in suggesting ways to spend our free time. This was an outstanding tour. The countries and cities visited are very interesting and [Tour Leader] Chris made it all work out in a coherent and friendly way. Chris is an extremely perceptive and caring person. He got to know each of the tour participants and made sure that their concerns were addressed. He helped to create a generally friendly atmosphere within the group and many friendships were formed, in part due to his facilitation. Today we arrive in Helsinki and transfer to our hotel. Affectionately known as the 'Daughter of the Baltic', Helsinki is sited at the arrowhead of a peninsula, surrounded by an archipelago of 315 islands, perfectly placed between its two great trading cousins, Stockholm and Moscow. In a European perspective, Helsinki is relatively young (450 years), yet it is Finland's sixth-oldest town. The Swedes, who extended their empire into Finland in 1155, founded the city of 'Helsingfors' (the name still used by the Swedes) in 1550 when King Gustav Vasa needed a site for a strategic, competitively placed trading port. It languished as a coastal backwater until Imperialist Russia invaded in 1809. 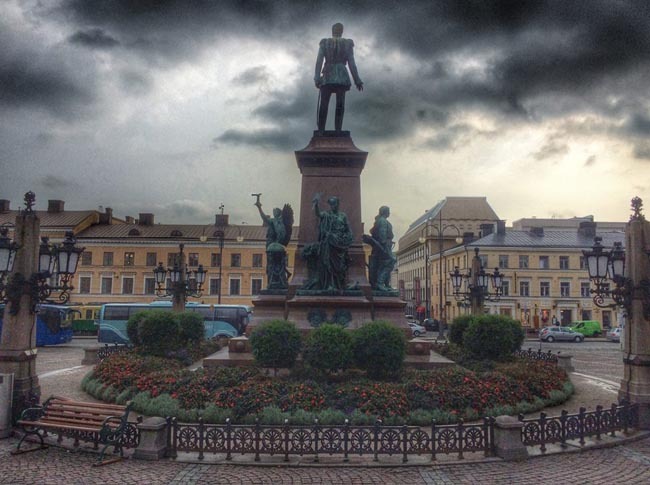 Today we will enjoy a comprehensive walking tour taking in the most important and interesting parts of Helsinki, such as the historical centre and the diplomatic quarters, the Presidential Palace, City Hall, the Parliament building, Finlandia Hall and the Opera House. 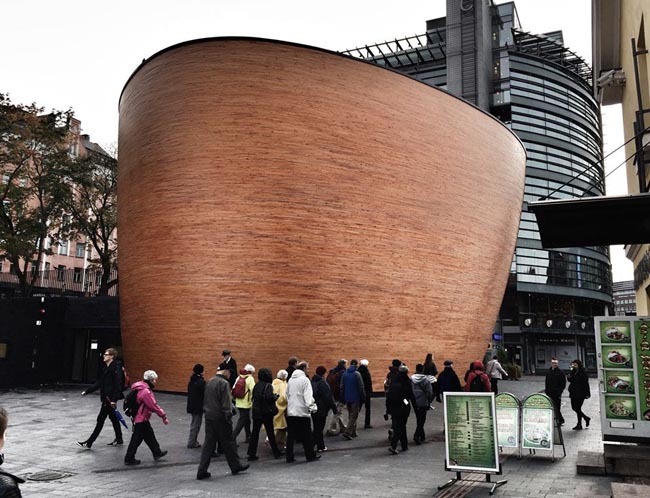 We stop at Senate Square, and, if possible, Temppeliaukio Church. During the afternoon you can explore the busy market place or the many souvenir shops close to the harbour. 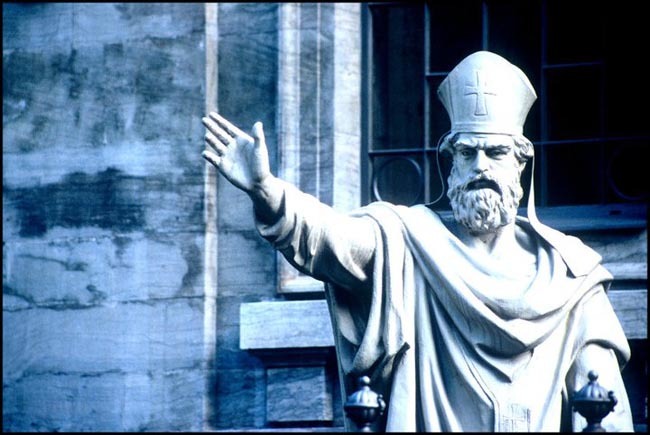 NOTE: Your arrival in Helsinki and tour today will be managed by a local guide. You will meet your Tour Leader later today after s/he arrives from Tallinn with other travellers coming from our tour of the Baltic States. Today you will have a free day to explore Helsinki. Helsinki is small and intimate; lively but not bustling. Its size makes it easy to walk around and cafes, markets, and the nearby islands are just a few of its summer delights. This evening we will board our overnight ferry to Stockholm. Our overnight ferries feature modern facilities, restaurants, duty-free shopping, and cozy cabins with low beds (ie not bunks) and en-suite washroom. After our morning arrival we check into our hotel before commencing with our walking tour of the Old City. With its location on the east coast of Sweden at the mouth of Lake Malaren, by the Stockholm archipelago, it is widely renowned for its beauty. Three islands make up the oldest part of Stockholm -- Riddarholmen, Staden and Helgeandsholmen -- the whole history-riddled mass a cluster of seventeenth- and eighteen-century Renaissance buildings backed by narrow medieval alleys. It takes only a matter of seconds to cross the bridge onto Riddarholm, where the Riddarholmskyrkan Church is located. Originally a Franciscan monastery, for over six centuries the church has been the burial place of Swedish royalty. Our walk around the island will take us to the back of the church for stunning views of Stadshuset, the City Hall and Lake Malaren. Nearby is the island Langholmen where in the winter people skate and even take their dogs for walks on the ice, as the water freezes solid right up to the bridges and beyond. We will continue to the City Hall, where we will view both the controversial Blue Hall and the Golden Chamber with its 18 million mosaic tiles, known to the entire world from the annual traditional Nobel Prize banquets. Our tour will take us to Djurgaarden and a visit to the Vasa Ship Museum. The Vasa warship left the pier by the Old Town in 1628 for her maiden voyage, but sank right in the harbour of Stockholm after just a few minutes of sailing. In 1961, after 333 years at the bottom of the sea the ship was salvaged, and the museum was established. This morning we enjoy a sightseeing tour by boat, taking us around some of Stockholm's 14 islands. The boat passes through the narrow and picturesque canals. We will see the island of Djurgarden -- a huge park area originally intended as royal hunting grounds. The canal leads to the sea, offering us a glimpse of some of the islands in Stockholm's inner archipelago -- the Fjaderholm islands. On the way back, the boat passes a number of beautiful villas and museums, as well as the Old Town with the Royal Palace. The tour also passes the world's first National City Park, "Ekoparken", founded in 1995. The balance of your day is free day in Stockholm. Stockholm is, without doubt, one of the most beautiful national capitals in the world. The Old Town is particularly spectacular, and walking around the city's waterways and parks is a glorious way to spend your afternoon. Today we fly to Copenhagen. Depending on flight schedules, you'll have free time in either Stockholm or Copenhagen. 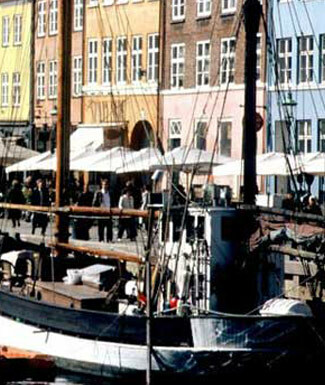 Today we take a walking tour the historical Copenhagen. We will start with a one-hour canal boat tour that provides an excellent introduction to our day. The trip includes a visit to the statue of the Little Mermaid on the Angelina promenade. The 1913 statue commemorates Hans Christian Anderson's lovelorn creation, and is the subject of hundreds of travel posters. Donated to the city by Carl Jacobsen, the son of the founder of Carlsberg Breweries, the innocent waif has also been the subject of some cruel practical jokes, including decapitation and the loss of an arm, but she is currently in one piece. After the boat tour we will continue our walking tour to the National Museum. After a brief orientation provided by our guide, you will be free to explore this excellent museum, with its permanent collections pertaining to Danish history as well as several very good ethnological rooms. After lunch we continue to Christianborg Castle. Surrounded by canals on three sides, the massive granite castle is where the queen officially received guests. Even though the first two castles on the site were burned, Christiansborg remains an impressive Baroque compound, even by European standards. This evening we visit the famous Tivoli Gardens. This is much more than a mere fair; among its attractions are a pantomime theatre, open-air stage, elegant restaurants (24 in all), and frequent classical, jazz, and rock concerts. Fantastic flower exhibits colour the lush gardens and float on the swan-filled ponds. At night 100,000 coloured lanterns illuminate the Chinese pagoda and the main fountain. The park was established in the 1840s, when Danish architect George Carstensen persuaded a worried King Christian VIII to let him build an amusement park on the edge of the city's limits. NOTE: The order of Copenhagen sightseeing may depending on weather and other logistical considerations. We continue our touring with a walk to Rosenborg Castle, the home of the builder-king Christian the Fourth. We pass through some beautiful gardens en route and see a statue of Hans Christian Anderson. At Rosenborg Castle there are three floors to visit, as well as a basement vault where the Danish Crown Jewels are kept. After our visit here and a break for lunch, we walk to the Carlsberg Glyptotek Art Museum. This is one of Copenhagen's most important museums, thanks to its exquisite antiquities, Gauguins and Rodins. Surrounding its lush indoor garden, a series of nooks and chambers houses works by Degas and other Impressionists, plus an extensive assemblage of Egyptian, Greek, Roman, and French sculpture, not to mention the best collection of Etruscan art outside Italy and Europe's finest collection of Roman portraits. After a brief orientation (floor plans on the wall in the entrance atrium), you will be free to explore on your own. This evening we board our evening ferry for the overnight journey to Oslo. Our route takes us along the coast of Denmark and the body of water that separates the North Sea from the Baltic and into Norwegian waters. Our cabins are small but comfortable with ensuite facilities. These vessels are large and well appointed with amenities that include restaurants, shops, maybe even a cinema and swimming pool. * Please note that our Oslo hotel rooms may NOT be ready for us this early in the day. Your large baggage will be securely stored; you might want to prepare your daypack ahead of time. This morning we visit the Holmenkollen Ski Jump and Vigelands Park. Our tour will take us up in to the hills of Oslo, and past the lovely homes to Oslo's most famous landmark--Holmenkollen ski jump arena. The fantastic view of the Oslo fjord and the harbour of Oslo is at its best from here. The ski jump has been a landmark since 1892, rebuilt for the 1952 Olympics and the arena for an annual International Ski Festival every February. We are at the gateway to Oslo ‘s backyard -- the expanse of hiking and cross-country ski trails, greatly loved by the locals at all seasons of the year. We will return down the hill to the green expanse of Frognerparken (Frogner Park) incorporating one of Oslo's most celebrated and popular cultural targets, the Vigelandsparken, an open-air sculpture park which, along with the Vigeland Museum, commemorates a modern Norwegian sculptor of world renown, Gustav Vigeland (1869-1943). This afternoon is yours to spend at leisure, strolling down the main street of Carl Johan, enjoying the activities in a city that comes alive during the summer months. 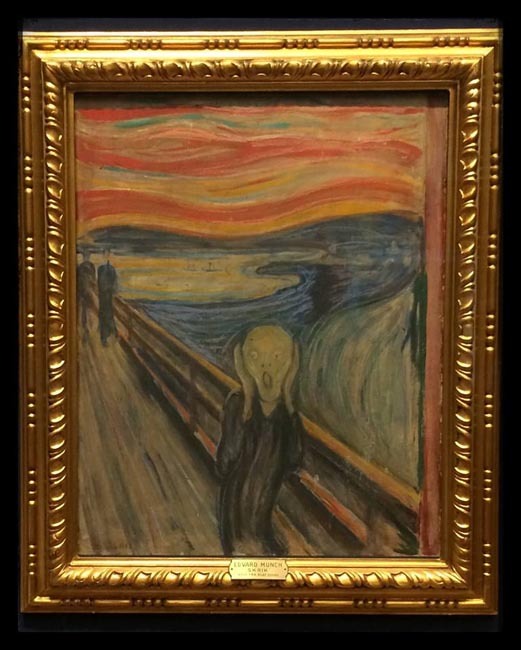 On today's tour we will walk through the center of Oslo, visiting the National Gallery. We continue past the impressive City Hall with its twin red brick towers, to the Norwegian Folk Museum, where a collection of city homes, farm buildings, one of the famous Stave Churches gives you a birds eye view of Norway and its history. A short stroll takes us to the Viking Museum, housing the 3 ships found buried along the Oslo fjord, all of them nearly 1200 years old. We continue our stroll (downhill) to Kon-Tike and Fram Museum that houses the balsa raft used by Thor Heyerdal and his international crew in 1962. They sailed from Peru to Polynesia to confirm his theory that the first Polynesians originally came from Peru. We return to the city by ferry. An early departure takes us to Oslo's train station where we will catch a +/- 08:00 departure to Flam via Myrdal where we connect to the Famous Flamsbana, the Flam Railway, one of the world's most spectacular rail journeys. In 1923 work was started on the separate railway line from Myrdal down sheer cliffs to Flam. Since the tunnels were done by hand, the first of the track wasn't put down until autumn 1936. By 1940 the line was opened and run first by steam engines. Electric engines took over in 1944. It takes about an hour to cover 20 km (12 miles) of track on the Flamsbana train. Eighteen of the 20 tunnels were chiseled out by hand which took one month of hard labour for each meter excavated. To avoid risk from avalanches, the railway criss-crosses the river and the bottom of the valley three times. Then, instead of building bridges, the river was routed through a tunnel under the railway line. Nowhere else in the world do adhesion rail cars on normal tracks have a steeper journey. Almost 80% of the railway line has a gradient of 5.5% (1:18). At the bottom, we will enjoy the scenic landscape of the Flam Valley and admire the lovely Aurlandfjord, an offshoot of the Sognefjord, the longest in the world. We will enjoy a break for lunch in Flam and then board a leisurely 2-hour cruise along the narrowest arm of Sognefjord and Aurland fjords. Here we are surrounded by the dramatic West Coast fjord landscape of steep snow-capped mountains (up to 1800 m /6,000 ft) and tumbling waterfalls, sheltered hamlets, and high mountain farms. After this journey we will catch a bus at Gudvangen and continue on to Stalheim, located at the very heart of Western Norway's beautiful fjord region. This morning we will visit the Stalheim Folk Museum for a glimpse of everyday life on a Norwegian farm and manor house from the Middle Ages to today. Departing Stalheim, we travel by windy mountain road to the train station at Voss. From Voss we journey by rail once again via the famous Bergen/Oslo railway line arriving in Bergen followed by a bus transfer to our hotel. Bergen is widely regarded as one of the more beautiful cities of Norway, and is an ancient city that looms large in Viking sagas. Until the 14th century, it was the seat of the medieval kingdom of Norway. Later the Hanseatic merchants established a major trading post here, holding sway until the 18th century, when the locals reclaimed their trading rights. Bergen has survived many disasters, including several fires and the explosion of a Nazi ship during World War II. It is a town with important traditions in shipping, banking, and insurance, and its modern industries are expanding rapidly. The oldest part of town overlooks the busy harbour; along the harbour's edge are myriad shops, boutiques and the famous open-air fish market. We enjoy three nights in this lovely Norwegian city by the sea; your afternoon is at leisure. Our tour starts in the center of town at Torget, also called Fisketorget or the fish Market, where fishermen and farmers deal their goods. Next we walk over to Bryggen, the wharf on the northeast side of Bergen's harbour. The gabled wood warehouses lining the docks mark the site of the city's original settlement. We take time to walk the narrow passageways between buildings; shops and galleries are hidden among the wooden facades. Our walk continues down the wharf, past the historic buildings to the end of the Holmen promontory and to Bergenhus festning (Bergenhus Fort), which dates from the 13th century; the nearby Rosenkrantztarnet is a 16th century tower residence. Bergen's oldest cathedral is located behind the fort, the 12th century church called Mariakirken. Walking around the back of the church down four blocks to Floybanen, the funicular that runs up and down Floyen, one of the city's most popular hiking mountains -- the view is like no other. At the base of the funicular is an area of crooked streets and hodgepodge architecture where you'll find most of Bergen's antiques shops. A midday stop at the Fish Market where you can enjoy fresh caught prawns right of the fishing boats, sit down on the quay and enjoy them like the locals do -- peel and load them onto fresh bread, add a bit of lemon and locally made mayonnaise. In the afternoon we travel to the suburbs of Bergen by coach to Troldhaugen, beloved local composer Edward Grieg's home, before returning to town. Today is yours free in Bergen. 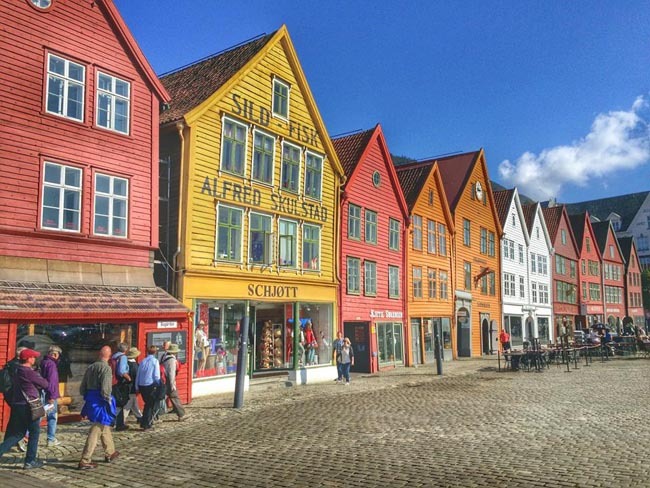 What has made Bergen known around the world is its charm and atmosphere. 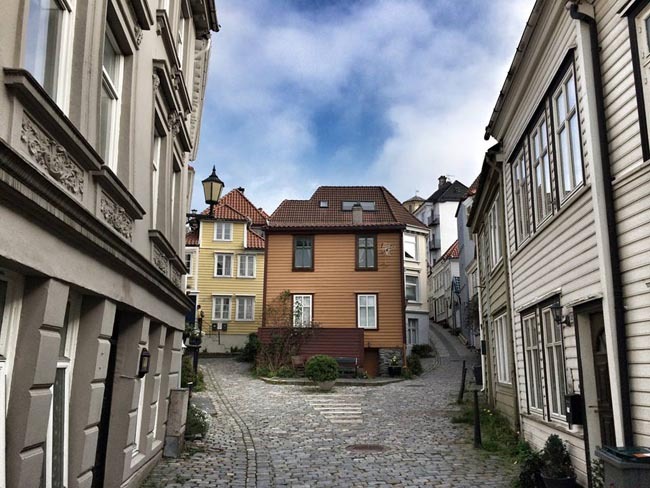 Bergen is worth exploring on your own. Just to browse around the old streets and alleyways is an experience. Bergen looks its best from the seaside, so you may want to join a guided boat tour through Bergen's harbour area. Today we depart from Bergen. This stunning hotel in Helsinki sits in the city’s heart, where its striking exterior serves as an architectural landmark in ...	skyline. With proximity to transport and attractions, the city centre hotel allows guests to easily explore sites like Tennispalatsi Culture Centre and Ateneum Art Museum. The 262 rooms are both comfortable and stylish, and delectable on-site dining options are also available. The hotel houses the city’s most renowned event facilities, which include 13 conference and banquet rooms for up to 300 guests. A special Brain Box breakout room is designed to elevate efficiency and encourage creativity. 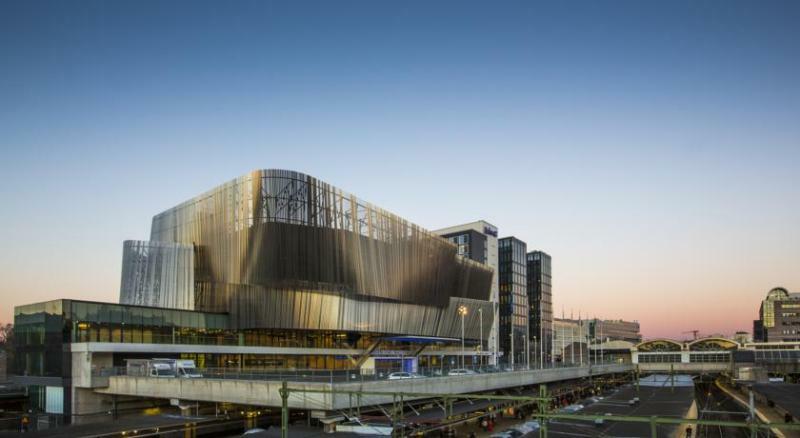 One of the leading hotel choices in Sweden’s capital, the Radisson Blu Waterfront Hotel, Stockholm provides an ideal location in ...	heart of the city. 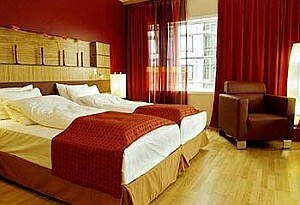 The hotel, just beside the Stockholm Central Station, is a smart choice for travelers. Along with thoughtful amenities, many of the rooms provide scenic views of the bay area and city hall. 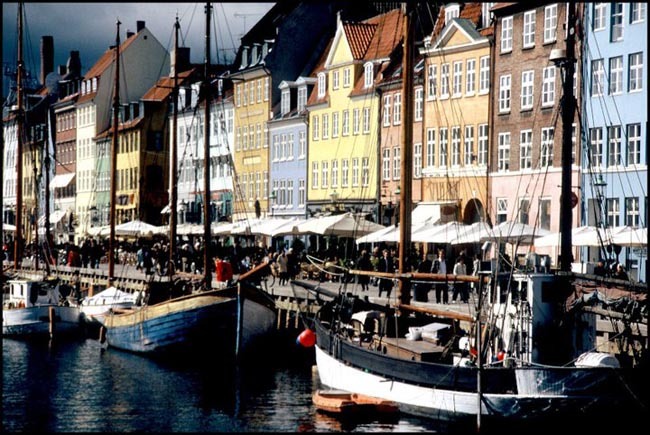 With an unparalleled signature design by Utzon and a fantastic location on a man made island in Copenhagen's Harbour, the ...	Copenhagen Island is the perfect starting point for a visit to Copenhagen. In addition to 326 air conditioned rooms with wireless internet and flat screen television, the hotel also offers a view of the harbour. Rooms: wireless internet, air-conditioning, flat screen TV, minibar. 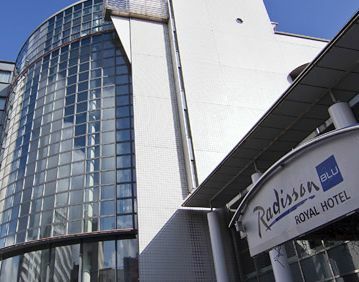 The Radisson SAS Hotel in Nydalen is close to the Oslo city centre and international airport. These fresh and new ...	rooms are fully equipped to the highest standards. All rooms include minibar, TV, trousers press, electronic safe and high speed Internet. 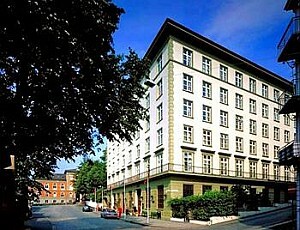 Classical-style Hotel with homey atmosphere; located across from train station; near air terminal/bus depot. There are 116 rooms in this ...	hotel, all equipped with the most up-to-date amenities. Included in all rooms are hair dryer, clock radio, tv, trouser press, a/c, non-smoking rooms, in-house movies, mini bar. Breakfast and dinner (hotels & local restaurants) daily. All transport, accommodation, sightseeing and entrance fees for sites noted as 'visited' in the detailed itinerary. Gratuities for local guides, drivers, restaurant staff, porters. Airport transfers for land & air customers and for early arriving / late departing land & air customers who book their extra hotel nights through us. This tour is offered in late spring and summer when temperatures are warm, rainfall less likely, and long daylight hours. Summer can be humid. Our September date will encounter considerably cooler temperatures and greater likelihood of rain. Land transport throughout by private air-conditioned motor coach, 24-36 seats depending on ultimate group size (see 'group size'). Though we will have a couple of full bus days there are plenty of stops of interest. Overnight ferry crossings with twin berths and private bath facilities. Past passengers have commented on the considerable amount of walking on this itinerary. Though we do not rate this tour "strenuous", it is a busy program with numerous city/town walking tours featuring uneven surfaces, inclines and/or stairs. You must be able to spend several hours on your feet per day, walking at a leisurely pace. There may not be porters available in all locations. We also make use of public transit in some cities in order to maximize sightseeing where vehicles are impractical (most people quite enjoy this insight into daily life). For information on our overnight ferries, see "Accommodation." If you are unsure of your suitability for this trip, please contact one of our destination specialists. Our overnight ferries feature cozy cabins with low beds (ie not bunks) and en-suite washroom.